In 1946, the former boxers Dwight “Bucky” Bleichert and Lee Blanchard are policemen in Los Angeles. Lee has a good relationship with his chief and uses a box fight between them to promote the department and get a raise to the police force. They succeed and are promoted to homicide detectives, working together. Bucky becomes a close friend of Lee and his girlfriend Kay Lake, forming a triangle of love. 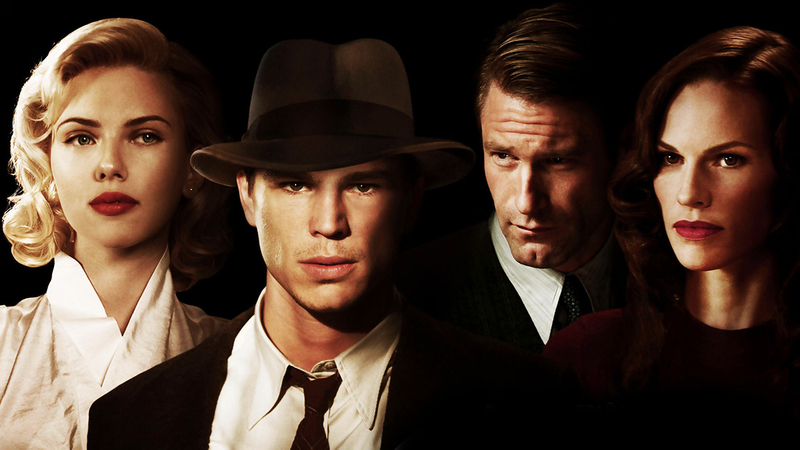 When the corpse of the aspirant actress ‘Elizabeth Short (I)’ is found mutilated, Lee becomes obsessed to solve the case called by the press Black Dahlia. Meanwhile, Bucky’s investigation leads him to a Madeleine Linscott, the daughter of a powerful and wealthy constructor that resembles the Black Dahlia. In an environment of corruption and lies, Bucky discloses hidden truths.